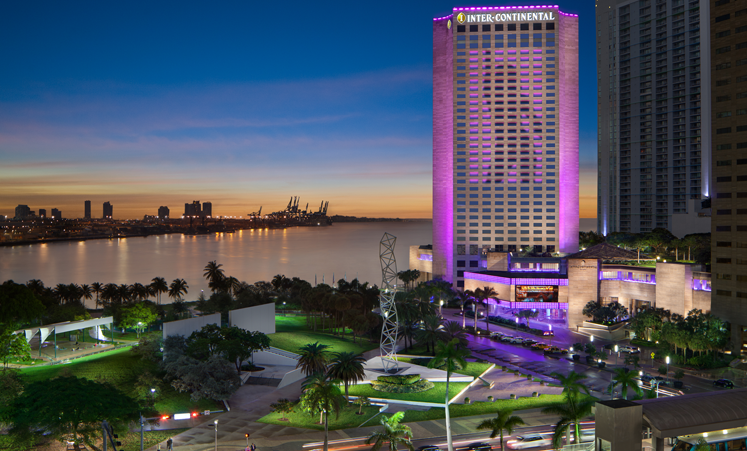 This week the InterContinental Miami Hotel located in downtown will host the 20th Annual Make-a-Wish Ball Kick-Off Party this Thursday evening September 11, 2014. Guests who received a private invite will have the pleasure of mingling with Gala Host Robert Hill along with members of the South Florida Make-a-Wish Chapter. The Make-a-Wish Organization is an amazing organization that aims to grant the wishes of children that have been diagnosed with life-threatening medical conditions around the United States and its territories. Whether it’s a trip to Disney, or a computer for the family, Make-a-Wish grants a wish on average, every 38 minutes. The notion behind the wish granting is that they believe that a wish experience can be a game-changer. Children have a sense of renewal and hope. That is what inspires the organization to grant wishes that change the lives of the kids they serve across the nation. This year the Make-a-Wish Ball will be held on Saturday, November 1st, 2014 with the theme of OZ featuring a performance by internationally acclaimed super star, Diana Ross. It’s the “can’t miss” event of the season for the South Florida social scene and includes some of the most affluent attendees. From prominent business leaders, socialites, celebrities, notable philanthropists and jet setters, over 8,000 of the “who’s who” have attended the Make-a-Wish Ball. Over the years, celebrity guests have included Paula Abdul, Sharon Stone, Pamela Anderson, Wayne Newton, Christian Slater, Richie Rich, Russell and Kimora Lee Simmons, Don King, Scottie Pippen, Mike Piazza, Marcus Schenkenberg, Kim Kardashian and Venus and Serena Williams. Musical performers have included Adam Lambert, Joan Jett, Wyclef Jean, Melanie Amaro, Macy Gray, Natalie Cole, D.J. Cassidy and D.J. Irie. It’s a grand evening with dinner, drinks, dancing, a silent auction along with a live auction celebrating a great cause and raising money all for the children. In its 19-year history, the Ball has raised more than $14.3 million, enough to grant the heartfelt wishes of more than 3,000 children. This year along with the musical performance by Diana Ross, will be Gabrielle Anwar as the Celebrity Auctioneer. **Please note the Kick-off Party this week is a private invite only event and tickets are not available for this exclusive event.